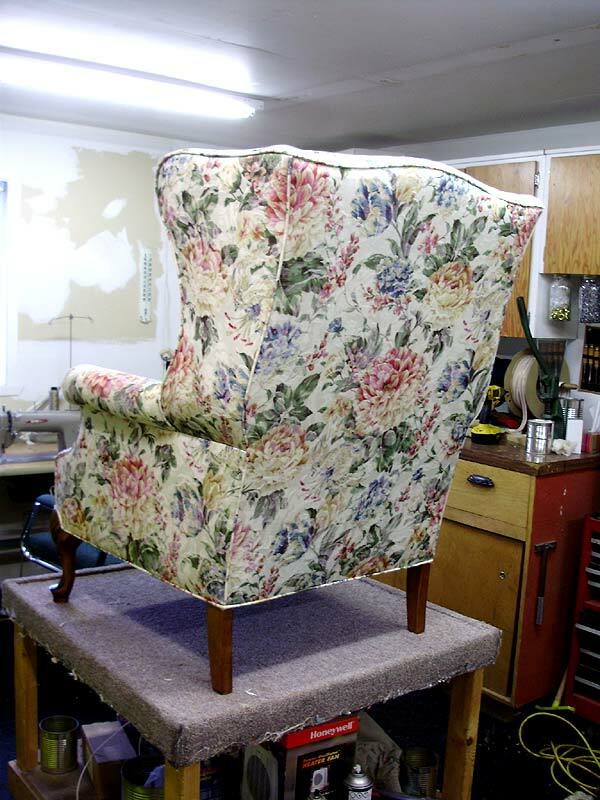 Today's project was a wing chair (or wing-back chair). It had been sitting in the shop for a few weeks, partially disassembled (stripped and ready to work on), and we finished it today. My Pierre had stripped and refinished the legs on the chair just yesterday (they were scratched-up pretty badly). This morning, the first piece to be installed was the deck (the part under the seat cushion), and the front roll. Pierre had to leave, so I was put on another job, and we continued after he got back (which is when I got this "during" photo). 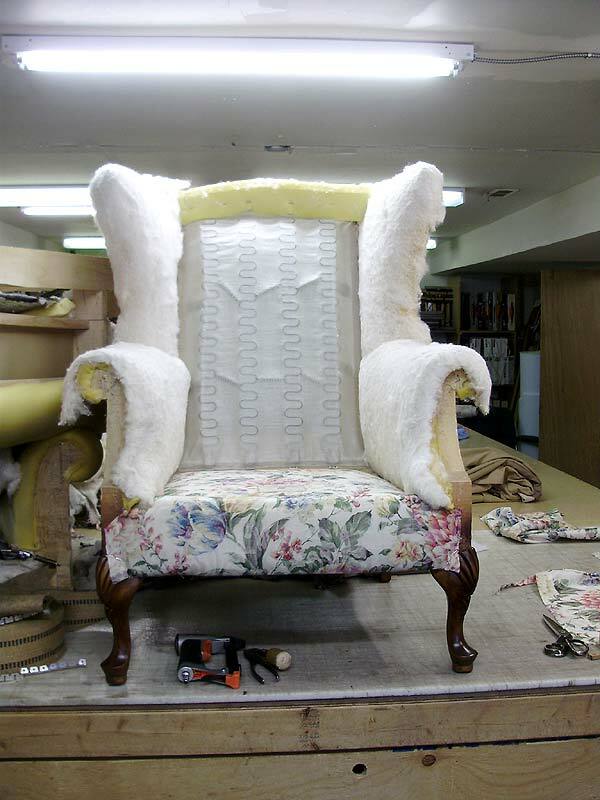 We added a new layer of thin padding over the wings, but the rest of the chair (foam/stuffing) was in pretty good shape. Note that in the photo above, the large section of padding for the backrest is not reattached to the chair yet. One thing to note is that a lot of these chairs usually have the backs done differently. 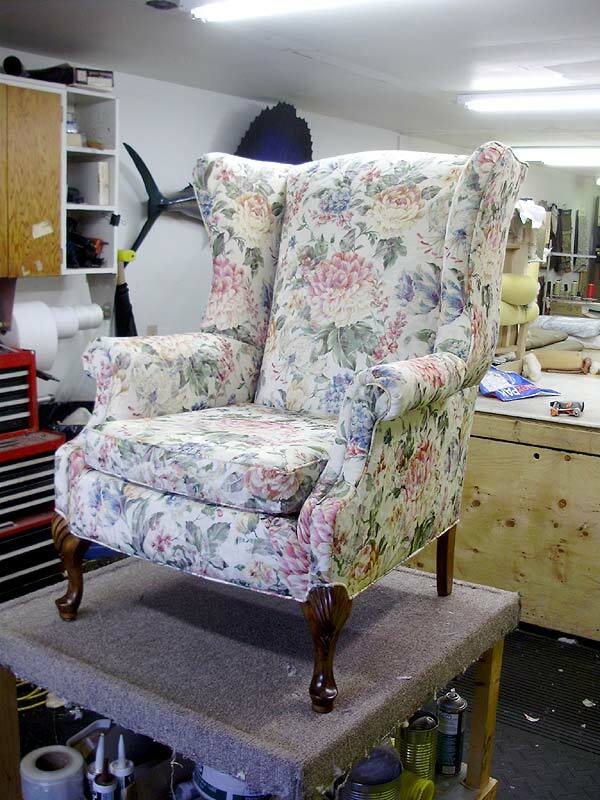 On this one originally (and on several others) upholsterers will just stretch over some additional fabric around the wings, and then just do a plain rectangular panel over the back. That doesn't look as nice when the back is shaped, so Pierre prefers to install the back following the contours of the chair instead (which takes a bit more time, but looks a lot nicer). 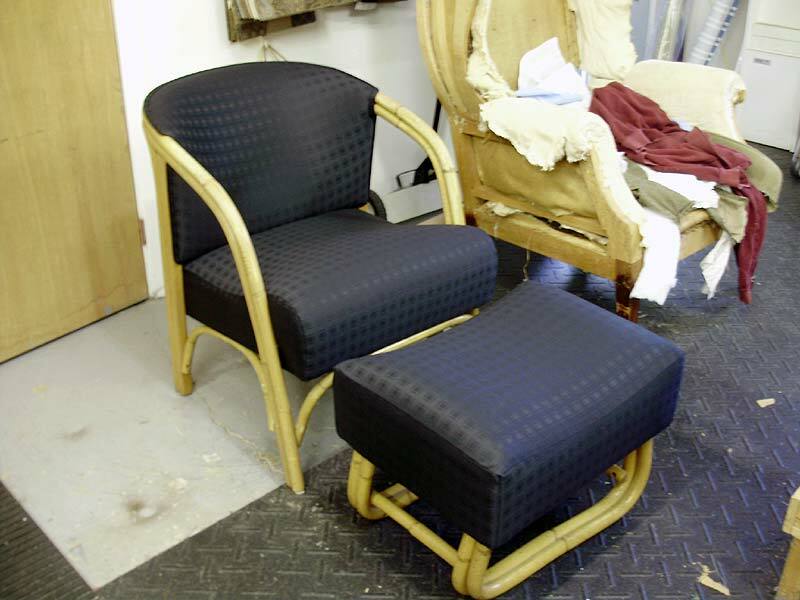 These were a bit tricky because of the shape of the chair. Part of it also had to be reglued/fixed before we upholstered it. 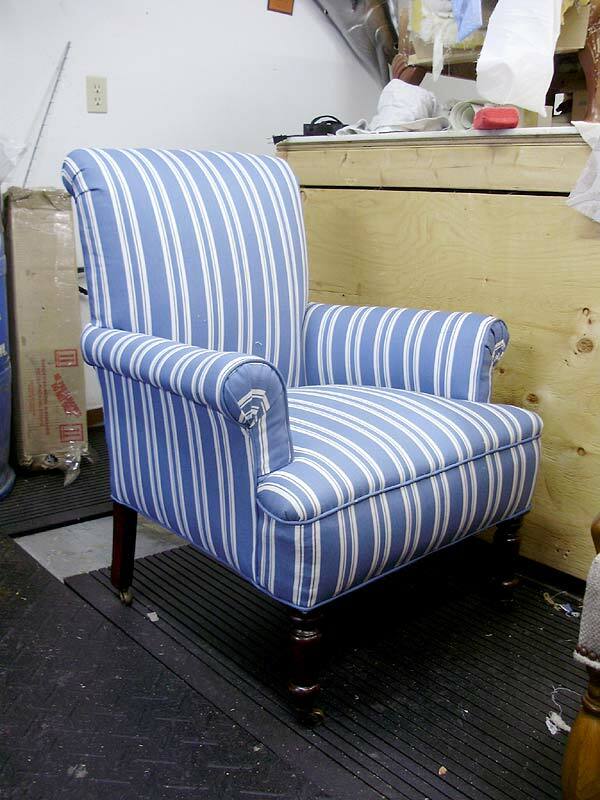 A beautiful early Victorian chair with turned legs, redone in a blue cotton stripe. The frame on this chair needed a lot of attention, and a few repairs.